All successful retailers, regardless of the industry, focus on the bottom line, customer service and maintaining high quality standards. And while many companies are charitable during the holidays, it is the rare business that supports the community year-round. Occasions Fine Jewelry of Midland, Texas is indeed one of these rarities, giving back to the Community Children’s Clinic in Midland, where for just $10 kids in need receive medical attention from a physician and get prescriptions filled. 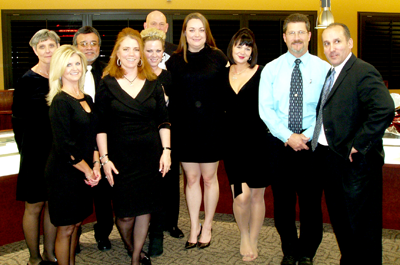 Funds are raised for the clinic with the annual Occasions “Girls Night Out” party hosted by owner Cathy Fleck, and owner/master jeweler Mike Fleck is a director on the board of Community Children’s Clinic. This jeweler sets the bar high in the store and with the region they serve, and we are honored to name Occasions Fine Jewelry a Coast Diamond Featured Retailer. Mike and Cathy Fleck have been serving customers in Midland for over 20 years, and although Mike is “retired” he still stops by regularly to help out and visit with couples shopping for diamonds, engagement rings and wedding bands. 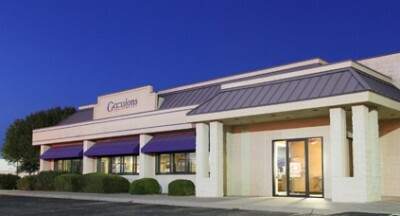 A member of Preferred Jewelers International of the South, Occasions is known for their home-style hospitality and offering a free cleaning service (even for jewelry purchased elsewhere), free finger and wrist sizing, financing and layaway (especially helpful to young couples with other wedding and new home expenses) and even eyeglass repair. Clients from Midland and Odessa also appreciate the Wish List service, a “must” for anyone hoping for a specific ring or other jewelry gift but too shy to drop hints. And free gift wrapping is offered with every purchase. Visit Occasions to try on these and other unique Coast Diamond engagement rings and wedding bands. 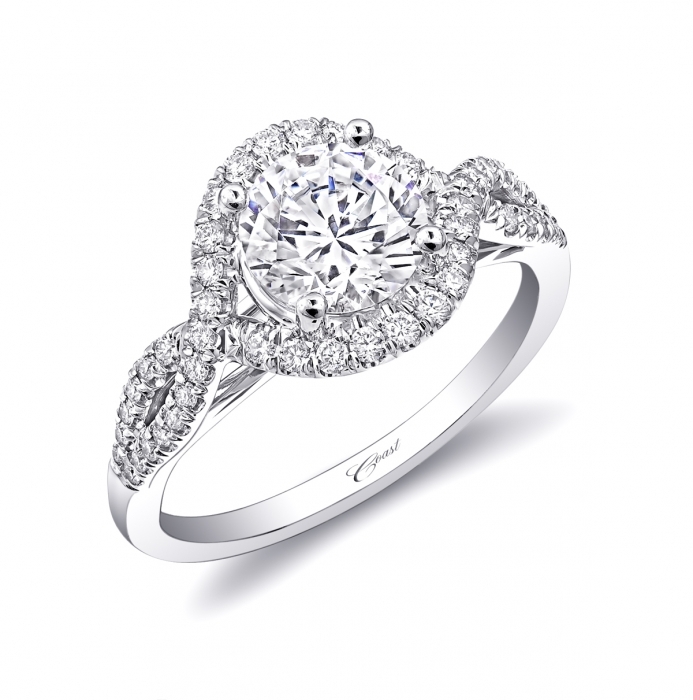 Cathy or one of the other friendly experts will also help you find the perfect diamond that will be at the center of your Coast Diamond engagement ring. Follow Occasions Fine Jewelry on Facebook to find out about Coast Diamond events and new styles, too! Occasions Fine Jewelry is open Monday – Saturday from 10am to 6:30pm. Stop by to see the staff, create a wish list and, when you’ve both decided to make a lifetime commitment to each other, to select your Coast Diamond engagement ring and wedding band. Congratulations to Occasion Fine Jewelry on being named our Coast Diamond Featured Retailer! 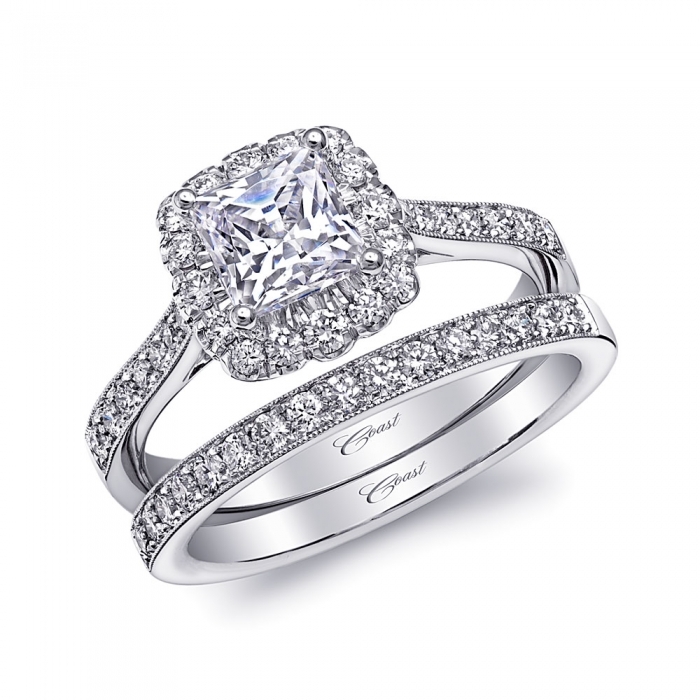 Los Angeles, CA: June 23, 2015 – Award-winning engagement ring and jewelry designer Coast Diamond, with headquarters in Southern California and over 700 authorized dealers across the U.S. and Canada, announced the Five Rings of Summer 2015. 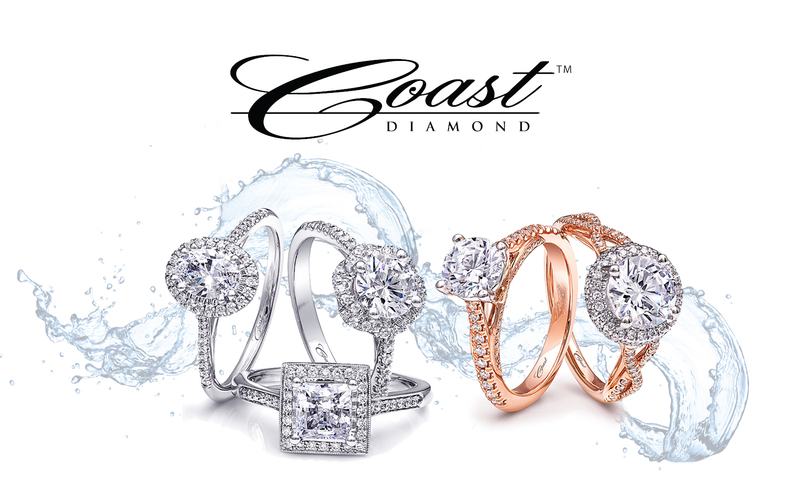 A new design from the Coast Diamond Signature Color Collection will be revealed every Tuesday over a five week period. 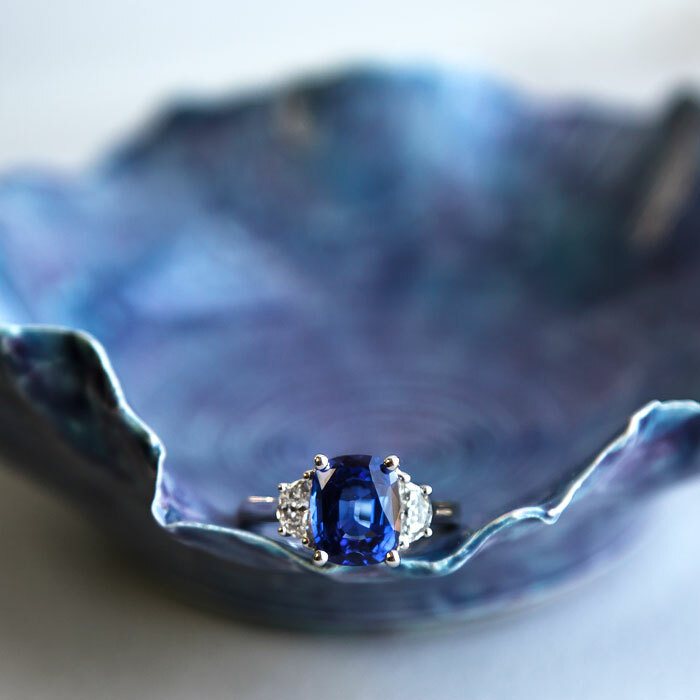 Summer has officially kicked-off and while beaches and pools are welcoming sun-worshippers in their colorful swimsuits, brides-to-be and jewelry lovers are coveting dazzling precious gems in a rainbow of hues. 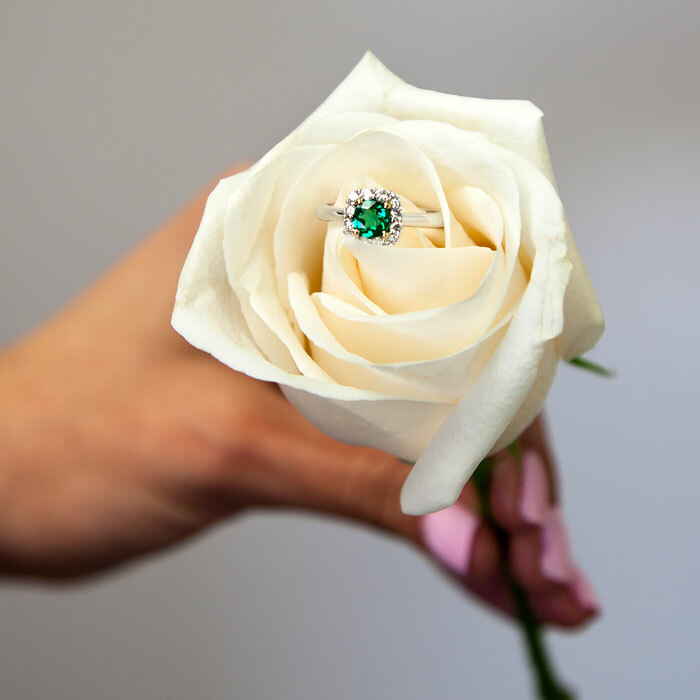 Each week followers of Coast Diamond will be treated to a unique ring setting that features a rare and vibrant gemstone at the center photographed with a flower or artistic object to convey the natural beauty of the one-of-a-kind ring. 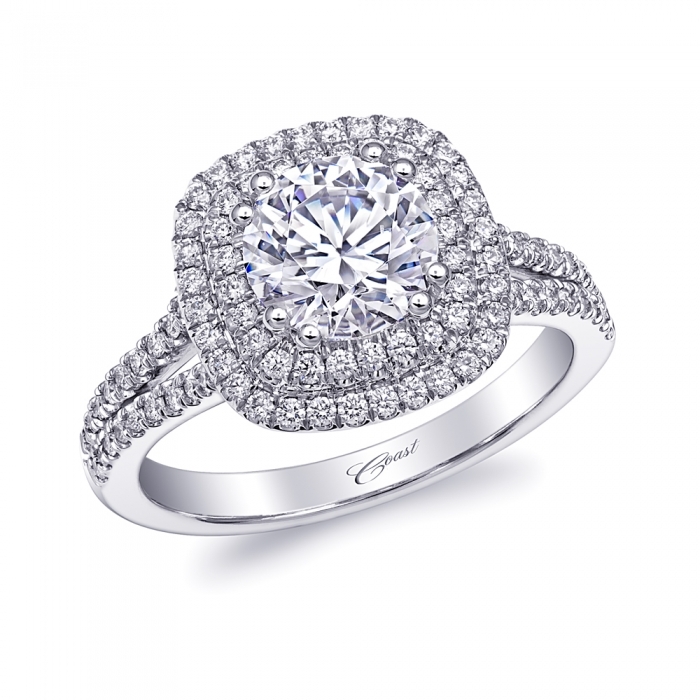 Coast Diamond creates exceptional jewelry that is timeless, graceful and elegant. 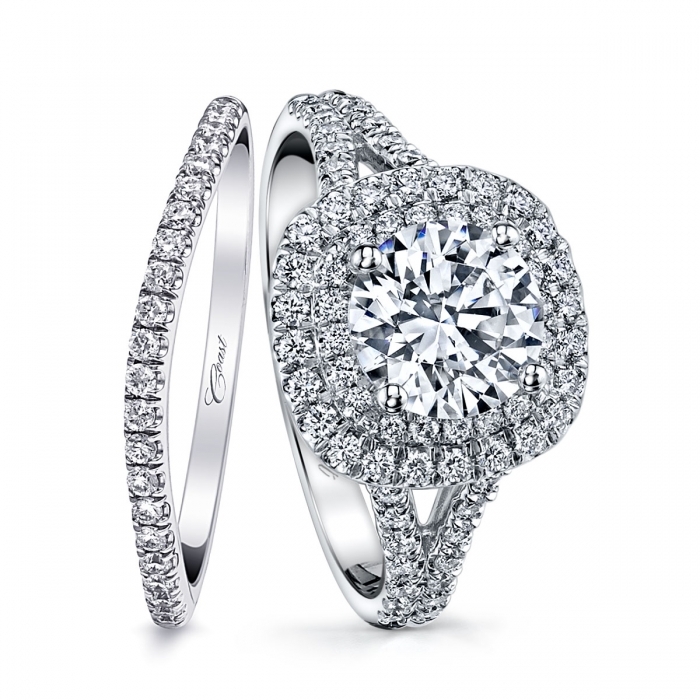 Coast Diamond bridal jewelry is meticulously designed and crafted by expert artisans. In addition to our highly successful Charisma Collection, Coast Diamond specializes in colored gemstones with the stunning Signature Color Collection, which features gem quality sapphires, rubies, alexandrites, aquamarines, tourmalines and more. Every Coast Diamond ring is completely customizable for any shape or size center diamond or gemstone, and is available in platinum, white gold, yellow gold or rose gold, making each ring as unique as the person wearing it. 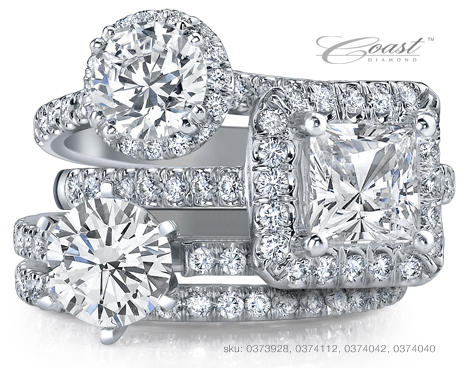 For additional information on Coast Diamond, like us on Facebook®, follow us on Twitter® pin your favorite rings on Pinterest® and follow our WordPress blog. Alexander J. Bongiorno learned gem setting and the craft of fabricating fine jewelry by hand in downtown Detroit at Herb Ring Jewelry beginning in 1949. 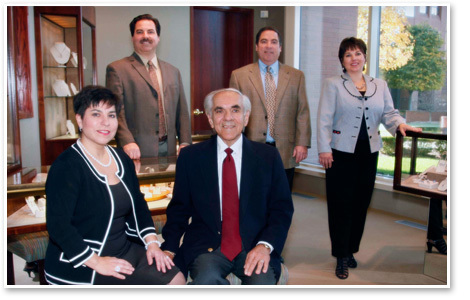 His unique twist on classic designs soon gained a loyal following of fans, and not long after Bongiorno Jewelers opened in Northfield Financial Tower in Troy, Michigan. 1990 saw a move to the lobby of Columbia Center, where customers shop year-round for award winning jewelry, including loose diamonds and precious gemstones, engagement rings and diamond bands. Alex’s tradition of excellence and superb customer service continues today under the care of his children Alexia, David, Julie and Michael. Coast Diamond is pleased to announce that Bongiorno Jewelers and Engagement Ring Store is this week’s featured retailer. Visit Bongiorno Jewelers in Troy when you’re ready to find the perfect Coast Diamond engagement ring, wedding band or anniversary ring. 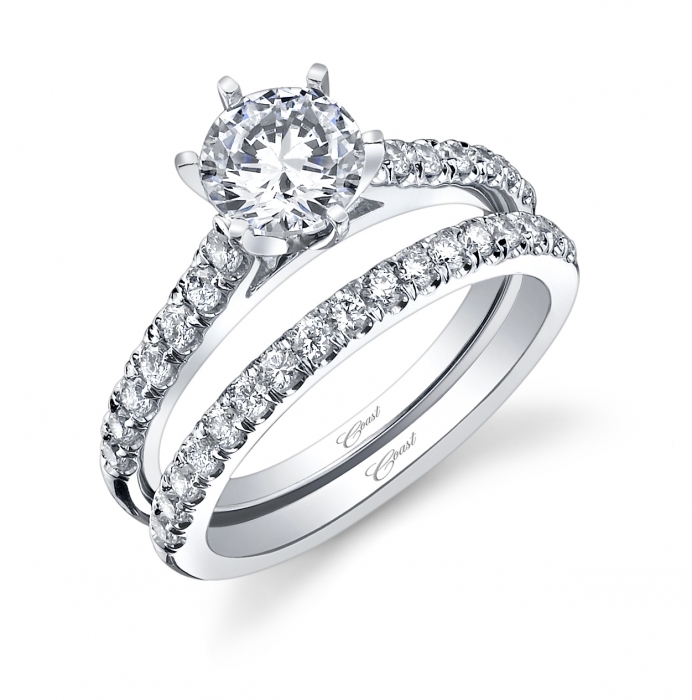 Call (248) 689-7766 for an appointment, or visit their lovely store to try on rings. Be sure to follow the Bongiorno family on Facebook, too! 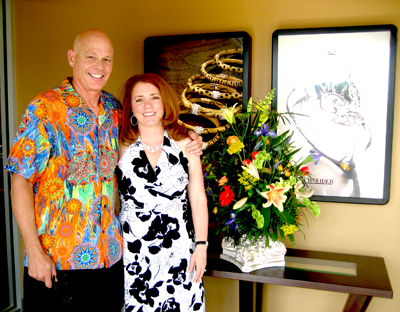 Congratulations to Bongiorno Jewelers, our Coast Diamond Featured Retailer. Appointments are strongly recommended. Click here to book your preferred time, then click here to search all the gorgeous Coast Diamond rings available at Robbins Brothers. 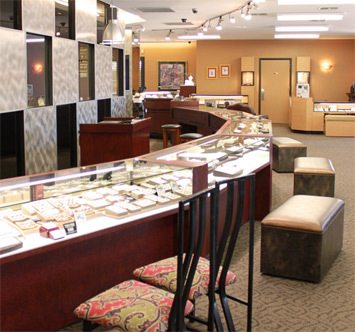 Coast Diamond is proud to have Robbins Brothers, The Engagement Ring Store as a longtime authorized dealer, and welcomes the staff at their newest location in Scottsdale, Arizona.